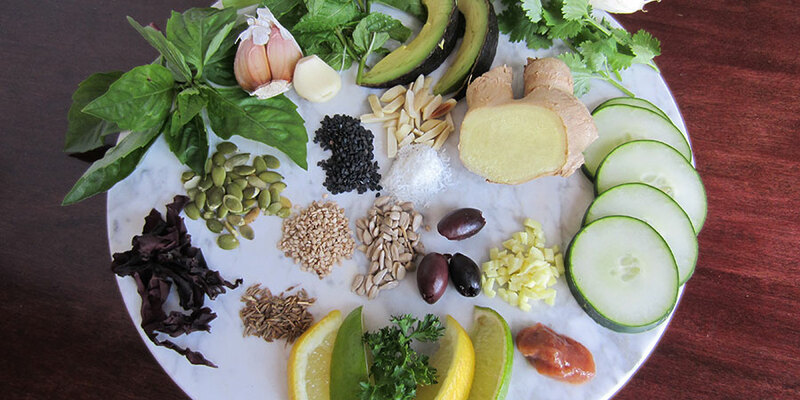 If you've been told you should focus on balancing vata (by our Ayurvedic Profile™ quiz or by a practitioner) one of the best things you can do is incorporate vata-pacifying foods into your diet. Vata is balanced by a diet of freshly cooked, whole foods that are soft or mushy in texture, rich in protein and fat, seasoned with a variety of spices, and served either warm or hot. These foods calm vata by lubricating and nourishing the tissues, preserving moisture, and maintaining warmth—all while supporting optimal digestion and elimination. What follows are some specific principles that we hope will empower you in discovering a vata-pacifying diet that will work for you. Before you read any further, please understand that following a vata-pacifying diet is a practice far more than it is a collection of absolutes. No one expects you to wake up tomorrow morning and eat a perfectly vata-pacifying diet for the rest of your life! 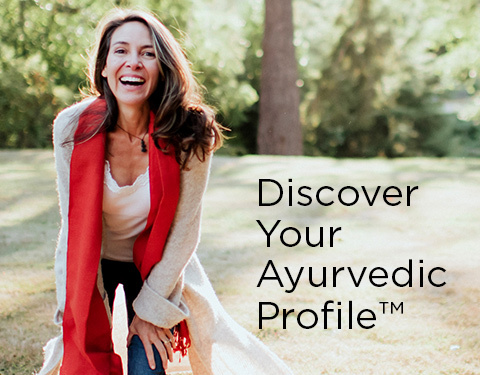 Even the most recognized Ayurvedic teachers have the occasional difference of opinion, which can create some discrepancies between different Ayurvedic diet and recipe resources. The point being, successfully following a vata-pacifying diet is not a matter of sticking to a strict set of dos and don’ts, or getting overly bogged down in the details. In fact, it is often far more helpful to pay attention to the generalities and overarching patterns. At the end of the day, any strides that you take to shift your diet toward being more vata-pacifying than it is today should be considered wins. Think of the process as an intention that you are holding, and also a powerful invitation to increase your self-awareness. We recommend that you begin by noticing where you might be able to make small, incremental changes in support of your healing journey—at a sustainable pace. From there, notice the ways in which these small shifts are supporting you, and where perhaps some of your current habits are costing you. If you enjoy a food that is vata-aggravating, notice how you feel when you do eat it. Does it increase the presence of vata symptoms in your digestive tract (gas, bloating, or constipation)? Is there anything that you can do to serve this food in a more vata-pacifying manner—by adding extra oil, ghee, and digestive spices, or by serving it hot? And if so, do these adjustments change your digestive experience? Use your developing awareness to continue to inspire one small step forward at a time, keeping tabs on how your health and well-being are improving over time. As you continue to work with your Ayurvedic diet and lifestyle recommendations, it is likely that your digestive strength will improve, which will eventually support your capacity to digest more challenging foods. Ok. Now that we’re on the same page about how to approach this, we’d like to introduce the qualities that you’ll want to favor in your diet, and by contrast, the qualities that will tend to be inherently vata-aggravating. By nature, vata is cool, dry, rough, and light, so eating foods that neutralize these qualities—foods that are warm, moist, oily, smooth, and nourishing—will help to balance excess vata. This section offers a closer look at how you can begin to recognize the qualities of different foods. The intention is to give you a more intuitive grasp of what will soothe vata, without having to constantly reference lengthy lists of foods to favor and avoid. The warm quality can be emphasized by eating foods that are both energetically warming and warm in temperature, and by using digestive spices generously (for a complete list of vata-pacifying spices, please see our resource on Vata-Pacifying Foods). On the other hand, it is best to minimize foods with a cooling energetic, such as cold and frozen foods or drinks, carbonated drinks, large quantities of raw fruits and vegetables, and even leftovers that have been kept in the refrigerator or freezer. The cold quality is inherently increased in these foods, so freshly cooked is best. But again, you have to be realistic about what you can take on, and leftover mung dal is going to be far more vata-pacifying than canned black-bean soup or a raw kale salad. Vata’s dryness is offset by eating cooked rather than raw foods, by cooking and garnishing foods with generous amounts of high-quality oils or ghee, and by staying hydrated. Drink plenty of fluids, ideally warm or hot—but no cooler than room temperature. In addition, moist foods like berries, melons, summer squash, zucchini, and yogurt help to offset vata’s dry quality, as do hydrating preparations such as soups and stews. Oily foods like avocado, coconut, olives, buttermilk, cheese, eggs, whole milk (preferably non-homogenized), wheat, nuts, and seeds are generally supportive as well. Do your best to minimize exceptionally drying foods like popcorn, crackers, white potatoes, beans, and dried fruits. While the heavy quality is the true antithesis to vata’s lightness, especially heavy, dense foods can easily overtax vata’s delicate digestion. Eating too much in one sitting can also be overly heavy, so try to eat regularly in order to avert any temptation toward overeating. In general, it’s better to think in terms of grounding vata’s lightness with sustenance—eating foods that offer solid, stabilizing sources of energy and deep nourishment to the physical body. Generally, these foods will naturally taste sweet. Ideal examples include cooked grains, spiced milk, root vegetables, stewed fruits, nuts, and seeds. Highly processed foods such as canned foods, ready-made meals, and pastries are often quite heavy, lack prana (vital life-force energy), and are generally quite aggravating to vata. Similarly, stimulants such as caffeine, nicotine, and hard alcohol should be minimized or avoided because they tend to undermine vata’s need for grounded stability. There’s a reason that raw fruits and vegetables are sometimes called roughage; their fiber content gives them a very rough quality. This is why vata does well to resist large quantities of raw vegetables, and should enjoy raw fruits in moderation. Even cooked, foods like broccoli, cabbage, cauliflower, dark leafy greens, and many beans are exceptionally rough and may be best minimized while you are working on pacifying vata. If you do eat them, cook these foods well and serve them with generous amounts of butter, oil, or ghee and add some vata-pacifying spices. Conversely, eating foods and preparations that are smooth in texture—things like bananas, rice pudding, hot cereal, hot spiced milk, root vegetables, puréed soups, and the like—can really help to soothe vata’s roughness. Vata is pacified by the sweet, sour, and salty tastes and aggravated by the pungent, bitter, and astringent tastes. Understanding these tastes allows us to make better choices whether or not we have an extensive list of Vata-Pacifying Foods handy. Favor naturally sweet foods like fruits, most grains, root vegetables, milk, ghee, fresh yogurt, eggs, nuts, seeds, oils, and lean meats. The sweet taste is the foundation of a vata-pacifying diet. It is the predominant taste in most of vata’s staple foods, and also vata’s primary source of nutrition. Emphasizing the sweet taste does NOT require us to eat large amounts of refined sugar or sugary-sweet foods. In fact, doing so tends to exacerbate vata’s tendency to over-exert and then crash. Naturally sweet foods tend to be grounding, nourishing, strength-building, and satisfying. Favor sour additions like a squeeze of lemon or lime juice, a splash of vinegar, a side of kimchi or sauerkraut, a bowl of miso, a slice of cheese, or a dollop of sour cream. Sour fruits like green grapes, oranges, pineapple, and grapefruit are also appropriate when eaten separate from other foods and in moderation. These make great vata-pacifying snacks. The sour taste is generally not the centerpiece of a meal; instead, it tends to compliment and enliven other flavors. The sour taste awakens the mind and the senses, improves digestion, promotes energy, moistens other foods, and helps to eliminate excess wind (think gas and bloating). The salty taste is almost singularly derived from salt itself, but favoring the salty taste does not mean that your food should taste as if it’s being cured. Salt is already over-emphasized in the typical Western diet, so simply being mindful of including savory flavors and ensuring that your food has some salt in it will likely be sufficient. Ayurveda recommends a quality sea salt or Natural Mineral Salt over common table salt. Salt stimulates the appetite and digestion, helps retain moisture, supports proper elimination, and improves the flavor of many foods. Pungent is a spicy, hot flavor like that found in chilies, radishes, turnips, raw onions, and many especially heating spices. However, in moderation, most mild spices are quite vata-pacifying. You will find a rather comprehensive list of herbs and spices to favor and reduce in our resource on Vata-Pacifying Foods. The pungent taste is hot, dry, and light; too much of it is extremely drying to the system, exacerbates the rough quality, and can therefore disturb vata. The bitter taste predominates bitter greens (like kale, dandelion greens, and collard greens), and is also found in foods like bitter melon, Jerusalem artichokes, burdock root, eggplant, and chocolate. The bitter taste is cooling, rough, drying, light, and generally reducing or catabolic—all qualities that tend to aggravate vata. The astringent taste is basically a flavor of dryness—a chalky taste that dries the mouth and may cause it to contract (picture biting into a very green banana). Legumes are classically astringent in taste—adzuki beans, black beans, black-eyed peas, chickpeas, pinto beans, soybeans, and so forth. The astringent taste is also found in some fruits, vegetables, grains, and baked goods—things like apples, cranberries, pomegranate, artichokes, broccoli, cauliflower, lettuce, rye, rice cakes, and crackers. The astringent taste is dry, cold, heavy, and rough in nature, making it understandably aggravating to vata. When it comes to pacifying vata, how we eat may be just as important as what we eat, so this is an especially useful place to focus if the prospect of radically changing your diet feels overwhelming right now. Vata is deeply soothed when we choose to eat in a peaceful environment—one where we can offer our full attention to the act of being nourished. Routine itself also balances vata, so the practice of eating three square meals per day (at about the same times each day) further reduces vata and helps to strengthen delicate digestion. And as we have already discussed, the aggravating potential of many vata-aggravating foods can be minimized by making sure that they are well-cooked, served warm, and garnished generously with oil, ghee, and digestive spices. Even visualizing your food grounding your energy, nourishing your body, and promoting health and vitality can go a long way toward pacifying the negative impacts of a vata-aggravating food. Experiment with taking a moment to resonate with your food in this way, particularly if you know you are about to ingest a food or a meal that is especially cool, dry, light, or rough. Lastly, because vata requires regular nourishment, it is best to avoid fasting. If you feel the need to do a cleanse of some sort, a monodiet of kitchari is much less vata-provoking than a fruit or juice cleanse, and is certainly better than an all-out fast. Breakfast is a critical meal when vata is elevated. After an overnight fast, vata needs real nourishment. A hearty breakfast is generally very stabilizing to the entire system when vata is elevated, provided it is not too heavy for one’s digestive capacity. A power-packed meal of eggs and buttered toast is always a winning choice for vata and can be served with sautéed veggies or fresh avocado, if desired. Hot cereals—things like oatmeal, rice porridge, cream of rice, and cream of wheat—are also excellent choices. For a richer, creamier breakfast, the grains can be cooked in milk (or a substitute), or you can add a bit of hot milk after cooking. To make this meal even more vata friendly, garnish it with ghee, sliced almonds, and flax seeds, sweeten it with honey or maple syrup, and add warming spices like cinnamon, nutmeg, ginger, cloves, and cardamom. Another delectable breakfast is a date and almond shake made from soaked dates, soaked and peeled almonds, and boiled milk (or a milk substitute)—blended together with warming spices like cinnamon and nutmeg. Urad and yellow mung dal with cardamom and naan. If you like, garnish this meal with cilantro, cucumbers, and a dash of yogurt. Kitchari with crispy okra fries. Rice pasta or gnocchi with pesto, black olives, pine nuts, cheese, and a side of marinated beets. If you like, add a small green salad tossed with an oily but stimulating dressing—such as a lemon-ginger vinaigrette. Butternut squash soup, a hearty bread, and a side salad. Avocado fried rice and a buttered toritlla. Baked and buttered sweet potatoes with minestrone soup, and green beans. To view a detailed list of foods to favor and minimize when pacifying vata, please see our resource on Vata-Pacifying Foods—remembering of course, that this list is meant to help you deepen your understanding and begin to see overarching patterns—not to create a sense of restriction or deprivation. If food lists tend to have that effect on you, do your best to internalize the qualitative guidelines above. Prioritize eating regularly and embrace a mindful approach to eating. That is as good a starting place as any.